Photo: George Arthur Roberts, of Trinidad and Tobago, was one of the first black men to serve in World War One. The firefighter, known as the 'Coconut bomber', was known for tossing bombs back into enemy lines. Roberts was honoured with the British Empire Medal in 1944. A blue plaque was erected in his honour in Camberwell, London. 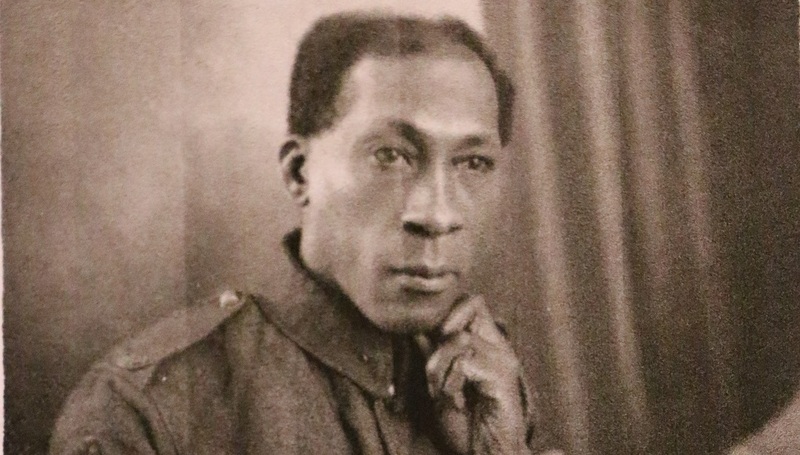 Amidst the many West Indians who gave their lives in service during the First World War, one Trinbagonian man was not only one of the first, but one of the few to receive a British Empire Medal for his outstanding service during that time. 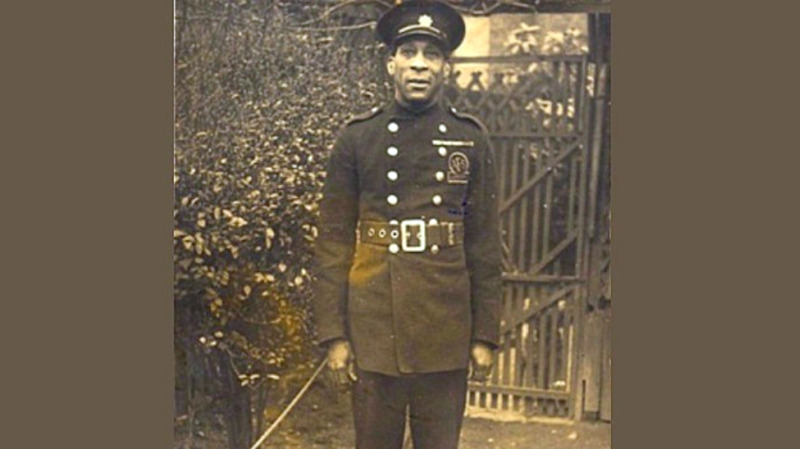 George Arthur Roberts (1890-1970), born in Trinidad and Tobago, was known as the 'Coconut bomber' for his efforts and skills displayed as a firefighter during World War One, and was one of the first black men to be enlisted to serve in the war. Roberts, who was honoured with the British Empire Medal in 1944 for his outstanding service and dedication, and was again awarded in 2016 with a Blue Plaque Ceremony in Camberwell, London. Roberts initially joined the Trinidad and Tobago army and then signed up to the European Service, where he was placed in the Middlesex Regiment. Roberts, who towered over others at six feet, two inches, fought as a rifleman in many battles, including the Loos, Somme, and the Dardanelles. He was wounded first at the Battle of Loos, and then in the Battle of the Somme. According to the wartime magazine, 'Every Week', he distinguished himself by his “extraordinary” ability to throw bombs back into enemy lines, as he did with coconuts as a child, and became known as the "Coconut Bomber". "Attached to the Middlesex Regt, he showed great proficiency as a Battalion Bomber, being able to throw his bomb a distance of 74 yards. This extraordinary throw was largely the result of his youthful experience in bringing down cocoanuts from the palms in his native island," the magazine said. Roberts also returned to Trinidad to recruit more soldiers and inspired many with his 'vigorous speeches', after which 150 Trinbagonians also enlisted. Roberts also enlisted during the Second World War, working for the Home Front, where he saved countless lives as a firefighter during the Blitz, having completed his training with the fire service in 1939. 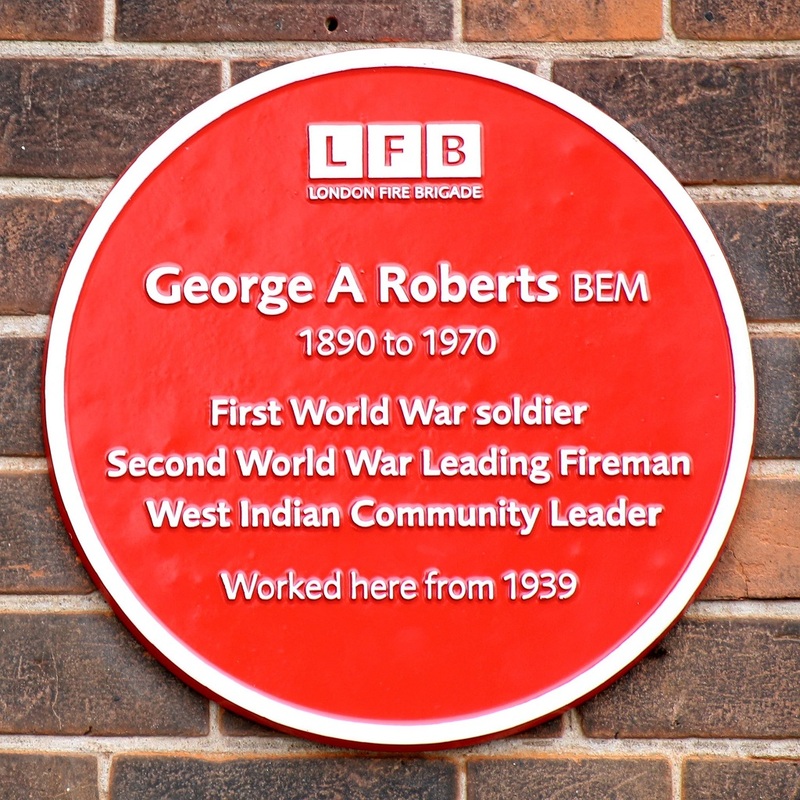 In 1944 Roberts was awarded the British Empire Medal "for general duties at New Cross Fire Station” and for his part as a founder and pioneer of the Discussion and Education groups of the fire service throughout the Second World War. 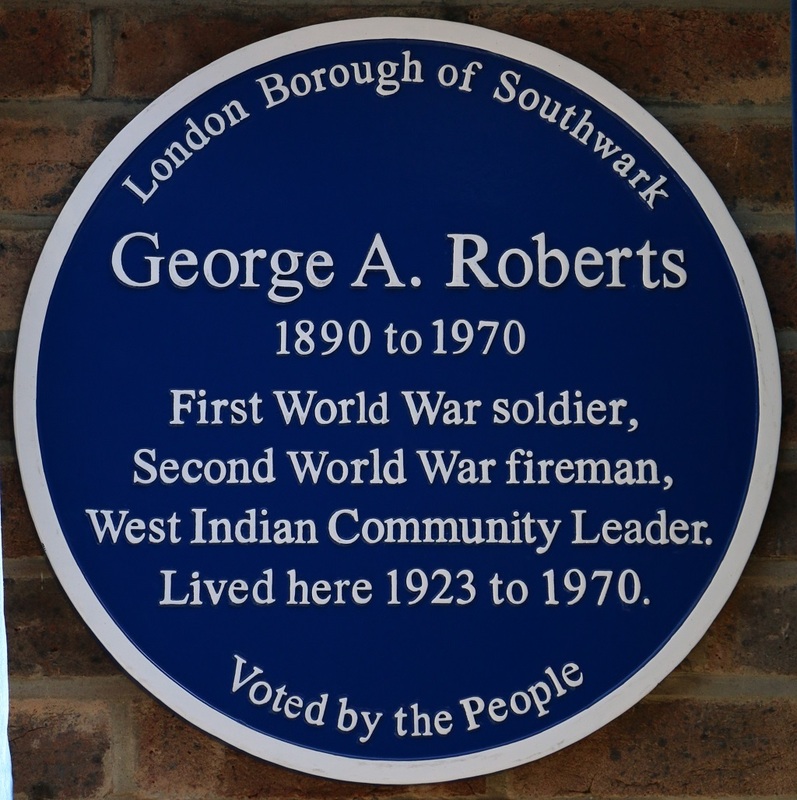 In September 2016, Roberts was honoured with a blue plaque by the London Borough of Southwark for the first black man to serve in the army and fire brigade. On Sunday 15th April 2018 a red plaque was unveiled by London Fire Brigade on New Cross Fire Station in South East London where he was stationed in World War Two. 'If what I am doing can assist in some small way to bring about a better understanding and a true fellowship amongst the peoples of the earth, I shall be extremely happy' Roberts told the BBC programme 'Calling the West Indies' on 4 May 1947. Roberts was also awarded the Meritorious Service Medal (United Kingdom). Roberts passed away in Lambeth, London, in 1970. Remembrance Day, a memorial day observed by Commonwealth nations to remember the millions of soldiers who died during WWI, is commemorated on November 11 each year. 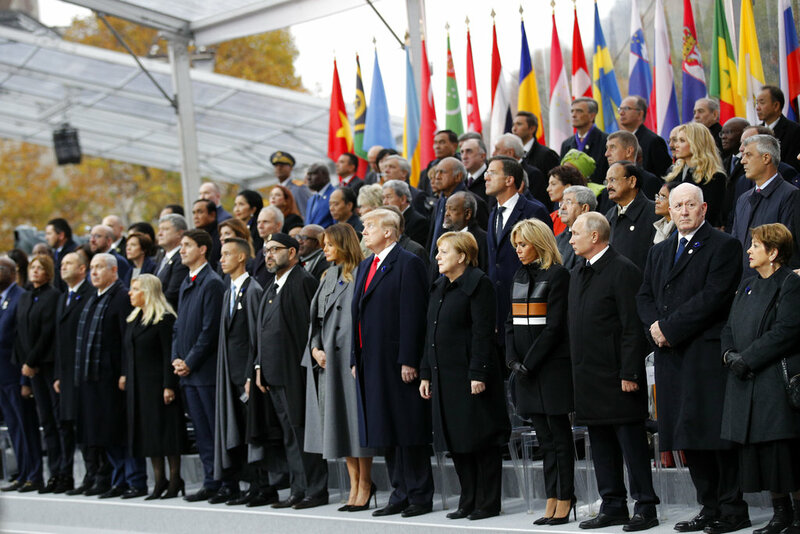 The day is usually commemorated with wreath-laying ceremonies and a two-minute silence which is observed at 11:00 am on November 11, in accordance with the Armistice of 11 November 1918, which was signed on the 11th hour of the 11th day, of the 11th month between the Allies and Germany.